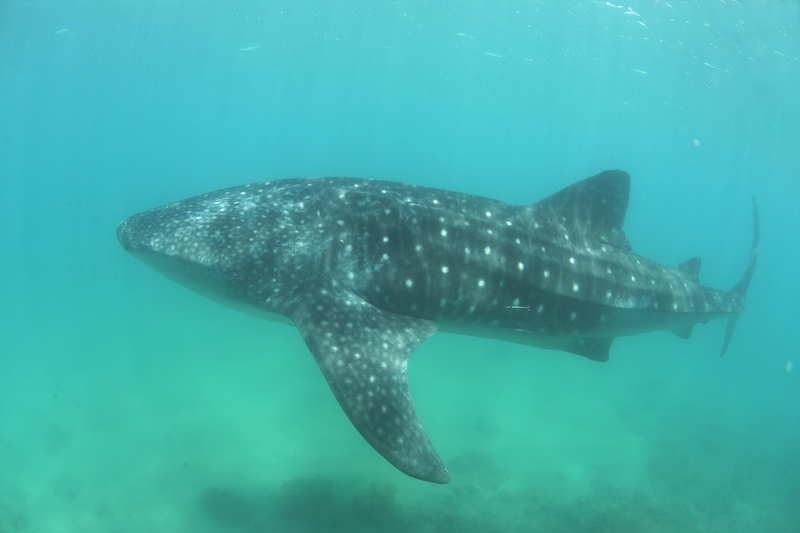 The whale shark monitoring team recorded Four whale sharks on today. Some of guest swam with them for 30 minutes. Super sunny with super great interaction.